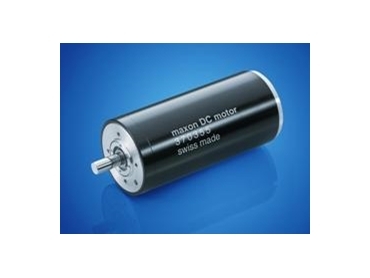 As an addition to the topmost performance range of DC Servo motors, Maxon Motor have launched their RE 50, a high density 200W power pack, wrapped into bare minimum dimensions. This power pack features robustness, high durability and better power rating ratio. The RE 50’s “heart” is, as with all mechanically commutated Maxon Motor drives, the ironless rotor, which results in detent-free running and minimised mass inertia. The combination of a two-pole Neodymium permanent magnet with the patented Maxon winding technology results in high torque and better acceleration. The drive measures Ø50 x 108 mm and is available with four different windings. It reaches a nominal torque of up to 0.38Nm, a nominal speed of 2800 to 5700rpm and an efficiency of more than 90%. Low nominal voltage (24…70 VDC) and high power density make the RE 50 a suitable choice for the use in battery-powered applications, such as electric vehicles, transport and logistics equipment, mobile systems and robots. Pre-loaded bearings contribute to low-vibration and quieter running and offer, along with the graphite brushes, extensive life span. The well proven Maxon modular system offers matching planetary gearheads, encoders and control systems. Accordingly, the new drive also suits applications in automation, mechanical engineering or medical technology. Additionally planned is a dust and splash water protected RE 50 version, which will be available with an optional brake.